Polymer Additives Range for PVC, Polyolefins, Engineering Plastics and Synthetic Rubbers. 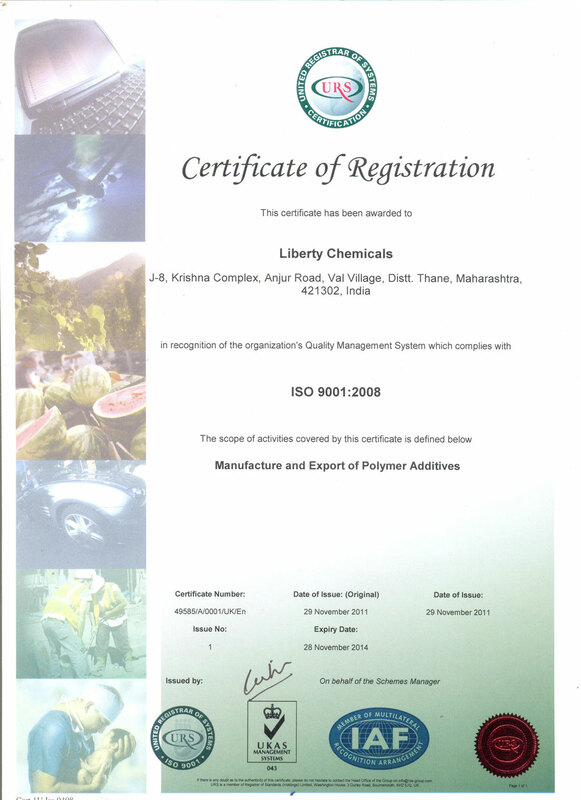 Constantly marching towards success, the liberty chemicals - an ISO 9001:2008 Certified Company, is a leading manufacturer and exporter of Polymer Additives. These include Lubricants, Functional Additives, Processing Aids, Pigment Wetting Agents, Synthetic Waxes etc. Ever since its inception, the company has grown leaps and bounds. 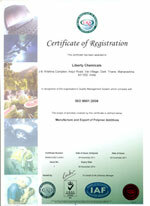 Manufacturing Polymer Additives since 1987 they have served the plastic industry for more than two decades. With a current production capacity of 6000 M.T. per annum their product portfolio includes over 50 different types of products. A well-equipped, state-of-the-art facility located near Mumbai, in India, a thoroughbred team of experts and professionals and their dedication towards providing quality service to every customer has made them a preferred choice of many. A team of determined researchers constantly keeps the organisation updated with latest technical innovation. Their customer friendly approach has today earned them a reputation of being the most trustworthy and reliable company.